Poverty has been with us for as long as the immoral and evil function of usury has been exacted on enslaved debtors by greedy creditors. Indeed, poverty is more obvious. more extreme and more in your face in the third world countries than it is in Canada - where I am domiciled. On a journey to the rural and urban areas of the Philippines in April 2012, I witnessed the simple and complex lives of the poor - in stark contrast to the multi-faceted and more prosperous lives of the middle class and the wealthy - all of whom live in close proximity to each other. I walked the streets and alleys where the poor live in the urban areas and I walked the paths of the rural areas on a couple of the 7000 islands that make up the total land mass of the Philippines. The most profound experience was having the unique privilege of mingling with 100+ poor children who basically live and survive on the streets of Cebu City. Every couple of months, a local company, generously pays for a meal for these 100+ poor children at a local restaurant in Cebu City and I had an opportunity to be there with them on Wednesday, April 25, 2012. As well, I walked through the more prosperous and upscale financial area of Cebu City commonly referred to as the “Queen City of the South” and I enjoyed taxi rides to various locations in Cebu City and surrounding area. In summary, the problems that come with poverty are much more evident in the Philippines and in other third world countries than in Canada, but the cause of poverty is directly and/or indirectly related to the “usury trap” - otherwise known as the design flaw of usury as a malfunction within our orthodox, economic system of debt money. The “usury trap” inexorably ensnares debtors everywhere - who for lack of knowledge, sign impossible contracts thereby agreeing to repay both the principal and the usury (interest), when only the principal was created and issued into circulation based on the debtor’s signature on the promissory note. 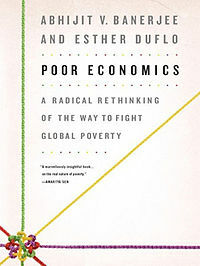 Before leaving Hong Kong, on my return flight to Toronto, Ontario, Canada, I purchased the book titled “Poor Economics” with a subtitle “A Radical Rethinking of the Way to Fight Global Poverty” to read during the fifteen hour flight. This is a classic example of the usury trap that guarantees this family (debtors) will be forever enslaved financially by the usurer (creditor). Whether in Indonesia, the Philippines or any other third world country there are multiple millions of debtors whose misfortunes shift their future into the depths of poverty and they are trapped there for generation after generation. According to Abhijit V. Banerjee and Esther Duflo every third household they interviewed in Udaipur, India was currently repaying a loan taken out to pay for health care - and a substantial portion of those loans are from usurers, at very high rates. They state that the standard rate of usury is 3 percent per month or approximately 42 percent per year. These are a couple of examples to show that people of the third world are commonly denied access to fair credit. Without a doubt, the magic bullet to eradicate poverty forever on planet earth would be to abolish usury. Usury is the fifth column that the usurers depend upon as their key control mechanism over debtors (individuals, families, small-to-medium sized businesses, major transnational corporations, all levels of government and even countries) everywhere on planet earth. A fifth column commonly refers to any clandestine or hidden group, faction or idea that has a subversive agenda to undermine any nation’s solidarity. Usury has been undermining individuals and countries for thousands of years. Without an unexpected miracle, usury is unlikely to be abolished in the immediate future since the usurers seem intent on maintaining their desperate usury-hold on their faltering and failing, orthodox, economic system of debt money. For any country to abolish usury, that country would be required to withdraw from the international banking empire where derivatives are gambled daily and the shadow government that controls elected governments in the so-called Western world as well as in the third world are not going to let that happen. Indeed, macro-economic policies are unlikely to advocate or promote usuryfree living at the grassroots level of society. Therefore, change must be birthed within micro-economic circles at the grassroots level of society and the optimal solution is to implement the usuryfree, time token model for bartering, trading and exchanging products and/or services. Local communities anywhere and everywhere can launch the usuryfree time token model immediately. This article titled: "Any Filipino Town (Community) Can Launch A UsuryFree Time Currency" adequately explains how and why a usuryfree time token project can work for any Filipion town. When usuryfre time token projects are fully operational in multiple thousands of local communities, inter-trading between these participating communities can be easily facilitated given the ease of modern internet technology. Eventually, we can expect the economics of poverty to shift and become the economics of prosperity - where everyone on planet earth experiences the reality of usuryfree living. Mathematicians claim that when 3% of any population is converted to a different model, this becomes the tipping point or the magic number that completes any shift in consciousness. In the meantime, as active, usuryfree creatives who are dedicated to making a difference, we can set and achieve specific goals to reduce poverty and create a more fair distribution of wealth within selected, local communities (a) where there is evidence of the most acute consequences of poverty and (b) where there is evidence of local leadership and sufficient motivation to implement monetary justice among those debtors who are willing to participate. There is much evidence to suggest that individuals and/or small organizations are more effective at putting an end to chronic poverty than the larger organizations that are so top heavy with administrative expenses, government politics and bureaucracies, detailed policies and extensive paper work, that only small percentages of collected funds ever reach the poor people who live in extreme poverty. We could offer gifts or grants as capital seed funds through duly registered charitable organizations that can guarantee the full amount of the gift will be delivered to any local business project. Perhaps some reader can suggest a duly registered, charitable organization that could possibly become an intermediary entity between prospective donors and potential recipients of any gifts or grants. We could implement usuryfree, micro-finance programs and help provide seed capital for local business projects - where terms and conditions guarantee the lender a positive return of investment for a successful venture. Of course, the lender must be willing to risk the possibility that the business venture might fail due to circumstances beyond the control of the borrower - such as weather calamities, unexpected tragedies and/or s severe economic depression. In micro-finance programs, I recommend that usury be abolished and replaced with a simple service fee on loans that can be collateralized for the security of the participating lenders. In the alternative, any loan could be uncollateralized if the lenders and borrowers agree to good-faith terms. Any agreed upon service fee payments would be collected on a monthly or annual basis. Usuryfree loans are the perfected model - the ethical, moral and Biblical way of lending money, so let’s initiate usuryfree lending now. 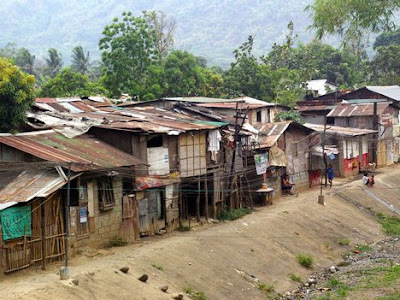 Since, I have visited the Philippines and witnessed the extreme poverty there in the Spring of 2012, I am recommending that any interested individuals contact me about a Joint Venture Proposal for a minimum of $1000. (US Funds) up to a maximum of $2000. (US Funds) for setting up a local business food store in Roxas City, Capiz Province, Philippines. This Joint Venture Proposal was recently submitted to me by Eric Encina, a native Filipino. I will share the details of his Joint Venture Proposal upon request. Hopefully, 20 active, usuryfree creatives will be motivated to come forth and gift $100. each so that the amount of $2000. (US Funds) could be raised to fund Eric Encina’s Joint Venture Proposal. I had the opportunity to meet Eric Encina during my visit to Cebu City, Philippines and I am fully satisfied that his Joint Venture Proposal would be a good starting point to become a catalyst in “Shifting The Economics Of Poverty” and making a difference in the lives of those poor people who would choose to participate in the Philippines. The most realistic statistics shows that 88% of the Filipinos are poor, that is approximately 72.16 million. Hence, 50% of the 82 Million Filipinos live below poverty line, that is, about 41 million where cases of death rate are very high in the countryside. In order to prevent from poverty trap or not to be below poverty line, a Filipino Family actually needs a minimum $300 (US Funds) in Philippine Peso value monthly income for survival. Philippines have 3.7 million children working from ages 5 to 7. There are 10.6 million children who are malnourished. Between 1995-2000, there were 23 million malnourished Filipinos, although it may declined somewhat, it is still a major problem. There are 28.7 million Filipino young people who are alcohol or liquor addicts. There are already alarming rate of young addicts to marijuana and shabu and to other illegal drugs in the countryside. The total drug addicts are reportedly around 5 million according to the latest statistical reports. Some are doing drug trafficking for business and employment purposes. However, illegal and highly toxic drugs are also a real threat to all people. This is a real international problem affecting nations, local peoples and communities everywhere. Again, under the present, usury-based, debt money system, this is all about profit of those companies and tycoon-individuals who seek to victimize the poor and innocent debtors. The official statistics of University of the Philippines’ Population Institute, and the available evidence, is showing that the suicide rate of the Filipino people has increased to 1.9 million suicide cases or 5,205 daily in the countryside. The major reasons or causes are: poverty, debt, bankruptcy, desperate money problems, unemployment, insecurity, family problems, addiction, diseases and philosophical/ideological/spiritual reasons or cults. But most of these are mainly influenced by the devastating effects of an unfair, present financial system, that exacts usury from debtors. In summary, Philippine situation is very serious, increasing debts, interest, corruptions, rebellion or insurrection, crimes, violence, war in the southern Philippines, poverty, hunger, starvation in the countryside, massive unemployment, political chaos, moral and social decadence and collapse. 1. Millions of aged Filipinos are living either on or very near poverty line with delayed pensions and some WWII veterans are still waiting for pension payments. 2. Millions of Filipinos are living in slum and squatter conditions in most major cities particularly in Metro Manila . Millions are without owned homes, or homeless, millions are struggling to own homes after 10 to 20 years time, millions more are living in old houses, broken shacks, dilapidated homes. There are homeless people living in the streets like the beggars, children and women prostitutes. 3. Many hundreds of thousands of individuals or families if not millions are suffering bankruptcy every year because of debt, interest and calamities. 4. Thousands are reportedly committing suicide every year. Most suicides are primarily caused by economic and financial crisis among other causes like family problems. 5. Millions are on the way to overseas lands for job and security. There are reportedly 5,000 to 6,000 Filipino applying jobs overseas daily that is causing the TREMENDOUS BRAIN DRAIN more than ever. 6. Many thousands are going to jail every year for both petty and heinous crimes which I view related to economic, money and survival crisis. 7. Millions are under employed, unemployed and threatened to lose jobs every year. 8. Hundreds of thousands if not millions of unborn babies are being killed by abortion because of money problem and financial crisis. 9. Thousands of separations and family breakdown due to money and economic crisis. 10. Millions of children reportedly suffering hunger and malnutrition. In the latest reports, there are 3.3 Million Filipino families suffering hunger daily. 11. Millions of Filipino farmers are losing income and suffering dire poverty and hunger and diseases caused by the crisis or by chemically-based farming. 12. Millions of are struggling daily to make ends meet even in this age of galloping inflationary pressures obviously by usury-based debt money. 13. Millions suffering hunger despite of the age of plenty. 14. Interest (usury) payments are more of a priority of the Government than social services and economic security for the Filipino people. 15. Children abuses and hard labor are rampant. 16. Thousands of Filipino women are under trade flesh or prostitution. 17. Rampant rebellion and insurgencies all over the country because of economic crisis that prevent peace and development. These insurgencies are directly and/or indirectly caused by the design flaw of usury on the orthodox, debt money system. 18. The environment in the Philippines is continually deteriorating not only because of natural calamities but also because of man-made destruction in pursuit of profit by the major transnational corporations. 19. Millions of Filipinos are losing faith and morality - a sad reality because of usury. 20. What about indigenous Filipinos in the countryside who are being marginalized in favor of privatization and selling off government assets. The government allows 100% foreign ownerships of Filipino land which is something that must be discussed in any change of the Constitution. When we are successful with one Joint Venture Project we can expand our vision and fund additional Joint Venture Projects - in the Philippines and/or elsewhere.